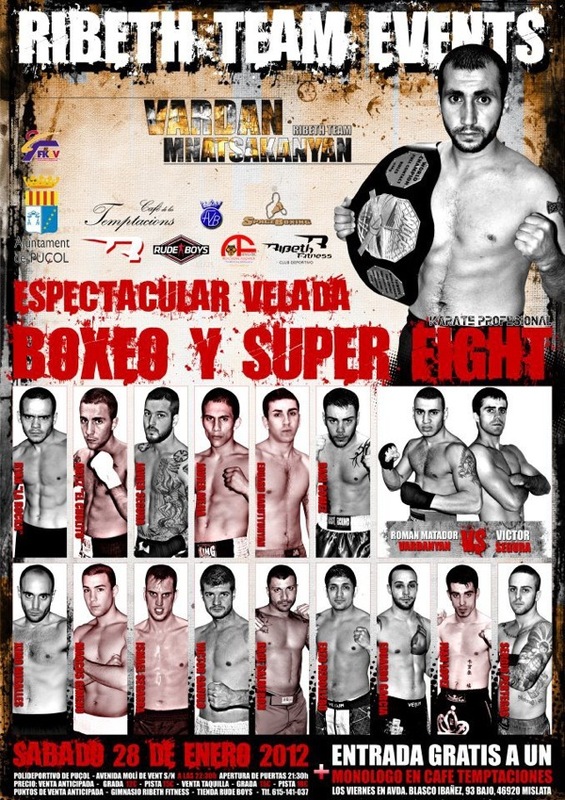 Saturday January 28, in Valencia Spain, 3 HyeFighters wil be featured on the same card. This mix event with Boxing and K1 Style Kickboxing will be headlined by a Kickboxing match between HyeFighter Vardan Mnatsakanyan against Jonathon Fabian. Roman “Matador” Vardanyan will square off against Victor Segura and Eduard Harutunyan will fight against Guillermo Van Put in boxing.